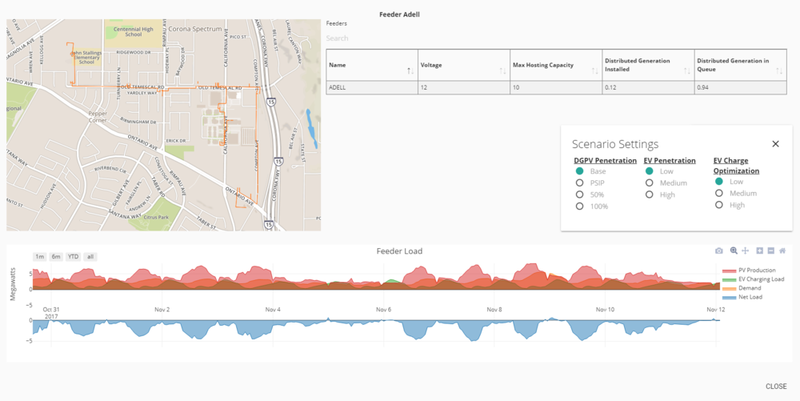 The Pathways to an Open Grid Project (POG, Oʻahu) is a first-of-its-kind effort at crowdsourcing data and soliciting stakeholder input to develop a transparent, web-accessible tool to evaluate the integration of distributed energy resources on the Island of Oʻahu. POG is pleased to launch the O'ahu Assessor Map, which offers a street-level view of the electricity grid, and provides an analysis to support a 100% renewable portfolio standard by the year 2045. The O’ahu Assessor map displays parcel details, distributed generation resources, electrical distribution infrastructure, building load, traditional energy generation, transmission lines, and system costs on a dynamic map. Users can quantify the delivered cost and feasibility of integrating additional clean energy resources onto the grid by varying the amounts of renewable generation and electric vehicle charging patterns at different locations throughout the island. O'ahu Assessor integrates time-series load data based on the concept of 1:1 mapping of the electric grid, where each component of the grid is mapped -from from individual buildings with or without rooftop solar to large bulk power generation resources and all of the wires that interconnect them. O'ahu Assessor allows users to understand how the grid may be impacted under various renewables adoption scenarios to meet the 100% renewable energy goal by 2045. These scenarios extrapolate trends and consider assumptions based on Hawai'i’s clean energy policy landscape, including distributed PV adoption, EV penetration, and optimized EV charging. Participated in the Pathways to an Open Grid, O'ahu (POG) process? We invite you to explore the tool you helped create. Please email cassie@kevalaanalytics.com for more details on creating a Grid Assessor account.